There are three main types of electricity providers in the U.S. Investor-owned utilities (IOUs) serve primarily densely populated areas. Municipal-owned utilities also serve densely populated cities from the very large, such as Los Angeles, to the very small like Lexington, Tenn. And of course, there are rural electric cooperatives that serve less populated parts of the country. In the utility business, population matters a lot. Since the costs to serve any given area are similar, the more customers that you have allows you to spread the costs among more people to keep rates lower. At least that is the theory. This graphic shows the national averages of density and revenue per mile of electrical line for IOUs, municipal-owned utilities and electric co-ops. Municipal-owned utilities, which operate in cities and towns, have the greatest density – 48.3 customers per mile of line, generating an average of $113,301 of revenue. IOUs follow with 34 customers per mile of line, while generating average revenues of $75,498. 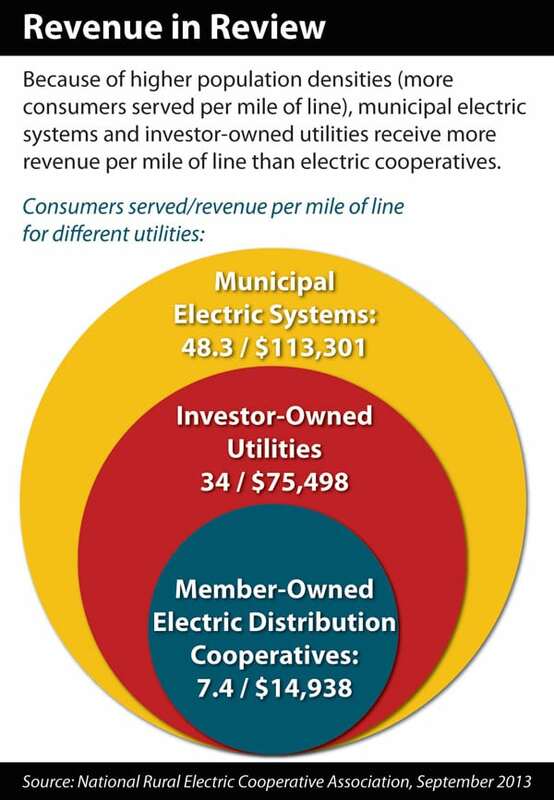 Finally, electric co-ops average 7.4 members (not customers, but members) per mile of line, bringing in an average of $14,938 of revenue per mile. If I were to give this data to any business school in the country and ask (based on this information) what the rates should be for each of the utilities, the answer would likely be that electric co-ops would have a rate 7.5 times greater than municipal-owned utilities and 5 times higher than IOUs – but that is not the case. Why not? It has to do with the business model. IOUs are owned by outside investors that may or may not be users of the electric utility they own. These companies’ stocks are traded on Wall Street, and those investors demand a return on their investment. This drives up the price that their customers pay. Many municipal systems charge rates that generate a “profit” for their cities to help pay for other services. Tennessee’s electric cooperatives operate on a not-for-profit basis. Of course, co-ops are a businesses and must generate enough revenue to cover costs (the largest being the purchase of wholesale power). But they don’t have to charge rates to pay outside stockholders. 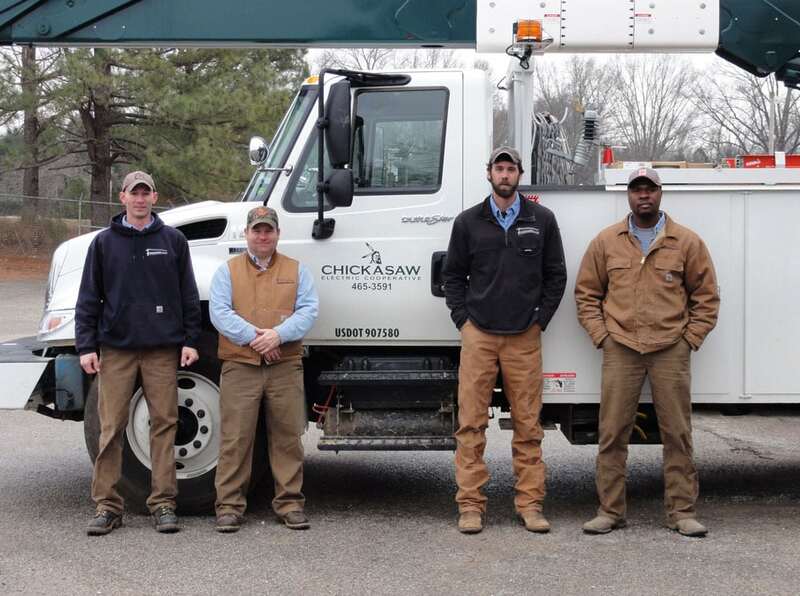 Since our members are our owners, we can provide safe, reliable and affordable power to you. That is just another way your co-op brings you value.